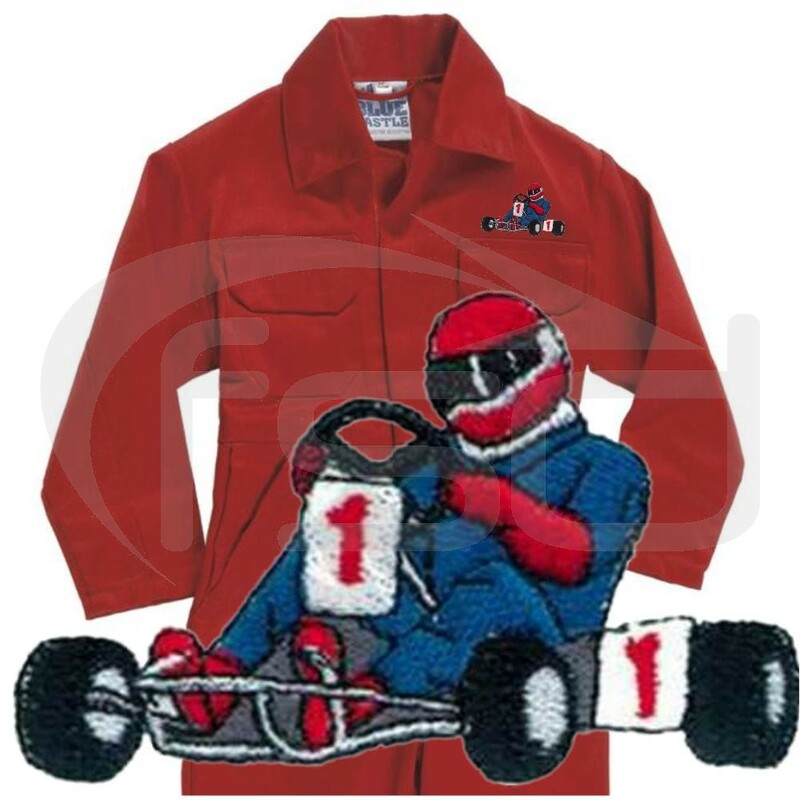 Aimed at the go-kart enthusiasts who like to get stuck in, fixing or driving karts, these hardwearing poly-cotton coveralls come complete with a quality karting logo above the breast pocket. Aimed at the go-kart enthusiasts who like to get stuck in, fixing or driving karts, these boiler suits come complete with a quality karting logo above the breast pocket. Note: the colour of the logo may differ from that shown. The colour chosen will depend upon the colour of the material on which it is being embroidered. This will ensure that the logo contrasts with the cloth colour.